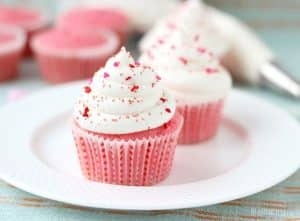 12 (Yummy) Valentine Cupcakes Decorating Ideas | Simple. Tasty. Good. 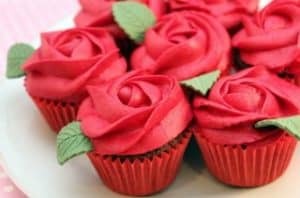 Need extra inspiration for a smashing looking Valentine dessert? 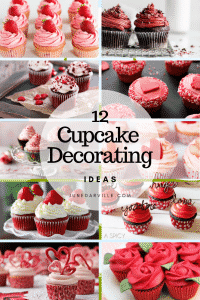 Then check out my 12 breathtaking Valentine cupcakes decorating ideas! 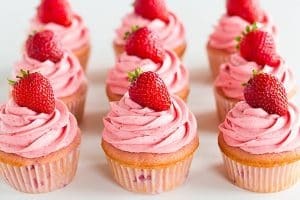 What’s your favorite cupcake? And what’s your favorite you bake all the time at home? I honestly can’t choose one, I love them all. 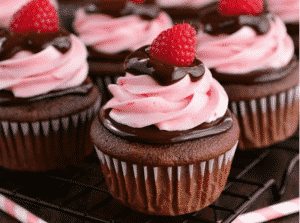 Chocolate, vanilla, raspberry, strawberry… While I was browsing through lots of food blogs, one thought hit me. 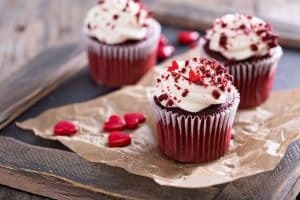 I hadn’t thought of red velvet cupcakes! Makes sense, that deep red color. What’s the topping you use the most? 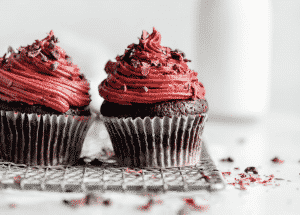 Buttercream, chocolate? I like to go for something safe and easy. Nothing too complicated or difficult. 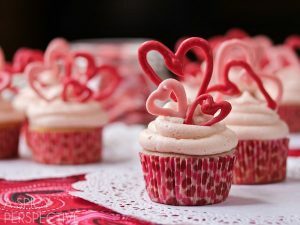 And that’s what I find here in my Valentine cupcakes decorating ideas below! 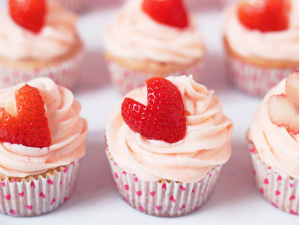 You’d forget how cute but posh one single strawberry on white frosting looks! Making chocolate shapes or words isn’t too hard either. Plus it looks spectacular. 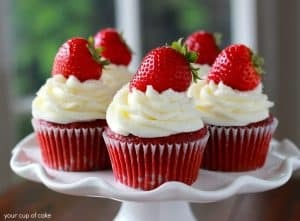 I’ve tried it before a few times and it’s true, my cupcakes in the end looked absolutely smashing. So this year I’m not going for the classic tiramisu, even though both the hubs and I love it. 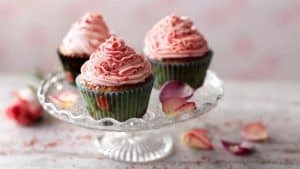 I’ll out of my way to this time to make a couple of gorgeous looking treats thanks to the Valentine cupcakes decorating ideas I list below! 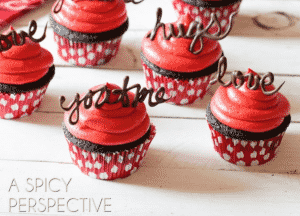 Ready for more inspiration and cute Valentine cupcakes decorating ideas? Click on the pictures below and you’ll immediately be redirected to the right page! 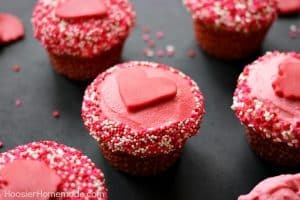 I have assembled a number of super delicious looking Valentine cupcakes by some of my favorite food bloggers! I’m sure you will find them absolutely irresistible – just like me.